I will be hosting a Laser Engrave Night at HeatSync Labs on Saturday February 22, from 5-8 pm. Even if you don't have a project you can come and learn about the laser by observing. The purpose of the event is to give people who have a project, but are not certified on the Laser an opportunity to get something done. For more information check the calendar listing, or discussion group post. Put the HeatSync Logo on a marshmallow. The laser has yet to make a good s'mores though. 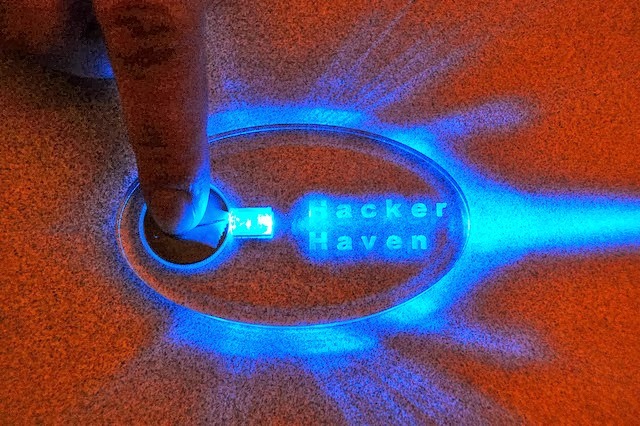 A Hacker Haven trinket with a simple LED lighting the edge of the acrylic. 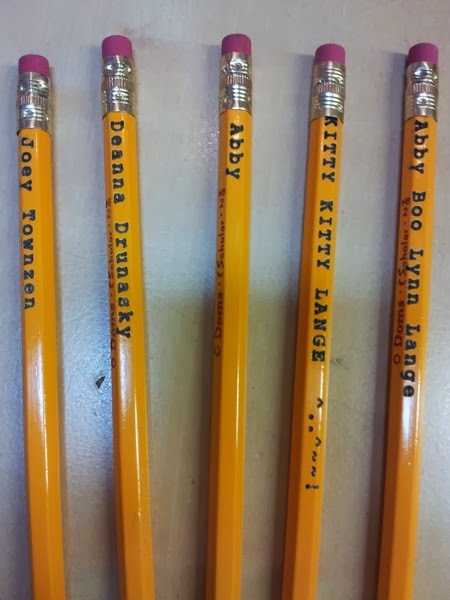 Laser engraved pencils. It's a fun thing to do with a group. Come have fun and make stuff at HeatSync Labs!